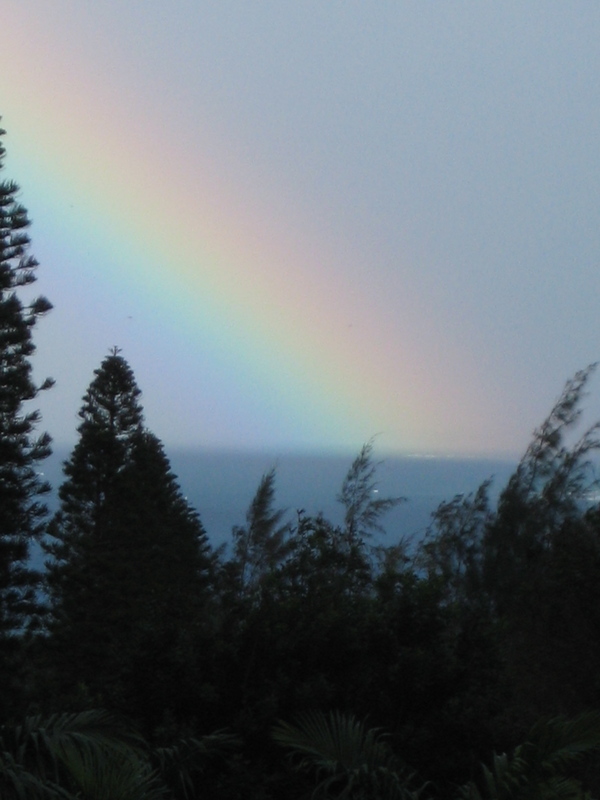 This rainbow laid its blessing upon the ocean in back of my house this first week of January. Gaze at its colors and feel them gently infuse the waters of your body: purifying, blessing and harmonizing the water in every cell. Call upon the exact combination of colors that would be most beneficial for you today and imagine them filling the field of energy around you – your body’s own electromagnetic field – with these beautiful colors of protection and love. 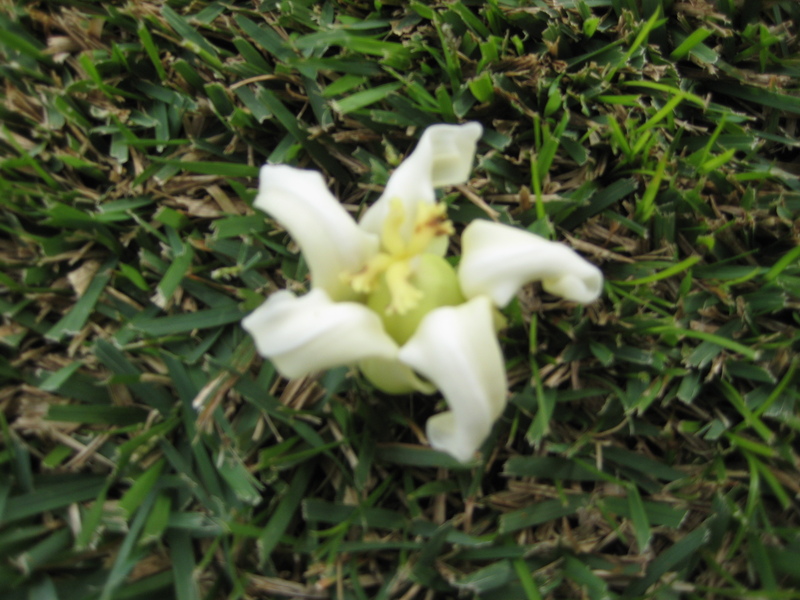 This particular papaya tree flower comes from a tree in the yard that was blown down as a sapling by some strong wind gusts months ago. It appeared that the tree was dying, and I said some honoring prayers to it. Incredibly, the tree later rallied and has grown with the entire trunk laying on the ground and its crown rising up bearing a full cluster of flowers and developing papaya fruits. My guides asked me yesterday to make a flower essence from these papaya flowers. See how the flower petals form a powerful vision of whirling energy. This is a flower that knows how to keep on going after an attack of force and continue to spiral love and light into any situation. As the sad news of the shootings in AZ came in, this flower offers her service. If you are so moved, gaze at the Papaya Flower: feel the whirling power of its light and love unite with your own and see it encompassing the grief and distress in AZ. Know that all that do so will stand united in encompassing the situation with love and transformational healing. – If you wish to work further with this Papaya flower essence, contact Denine. ($9/bottle + postage). What a beautiful blog to come home to..and I am allowing the beauty and serenity and whirling to create a tsunami of love to offset the one of grief and outrage from the shootings…in gratitude for all you are and all you offer.. I agree with Samarah. I had tingles reading this blog. Thanks you for your post. I cherish reading them. Much Love to You from across the seas. thanks !! quite helpful post!